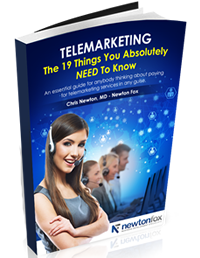 Successful telemarketing requires solid foundations and at Newton Fox we can provide access to a wide variety of guaranteed quality data lists to power your telemarketing efforts. Whether its business or consumer data, Newton Fox have vast expertise in supplying quality marketing data that will increase the return on your marketing budget. All data that Newton Fox supplies is guaranteed for its accuracy so all our customers have peace of mind that their telemarketing campaigns are working to optimum levels. Our customers enjoy quick turnaround on data and discounts on some of the best marketing databases around. Don’t leave data to chance. We all know the value of quality data and the damage that inaccurate data can do. To this end, Newton Fox offer all clients the option of cleansing any existing data sets before using the data. Newton Fox will suppress your databases against the latest TPS and CTPS files, remove gone away and deceased records and also give you the free no obligation option of enhancing your database with additional details such as Industry, Size of Company, Job Titles, Opt-in Emails and more. Please call for further information.